Taiwanese electronic and PC maker Acer announced its new Nitro series of gaming notebooks at the annual next@acer global conference. The new gaming notebooks are Nitro 7 and Nitro 5 and they come with a variety of tools and features to make any gamer a happy man. Acer Nitro 7 gaming notebook comes with a sleek metal design and up to 7 hours of battery life. 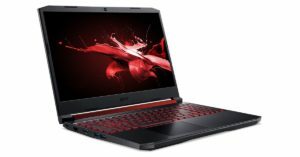 Acer Nitro 7 gaming notebook has a price tag of $999.99 (approximately Rs 69,120) and the Nitro 5 gaming laptop is priced at $799.99 (approximately Rs 55,296). Both the newly launched gaming notebooks are available in North America from March onwards, while in the European markets they will be available from June onwards. The gaming laptops will arrive in the Chinese markets in May, but there is no news about their availability in India. But since they will make their ways to the Chinese markets, we will get to see their launch in India as well. 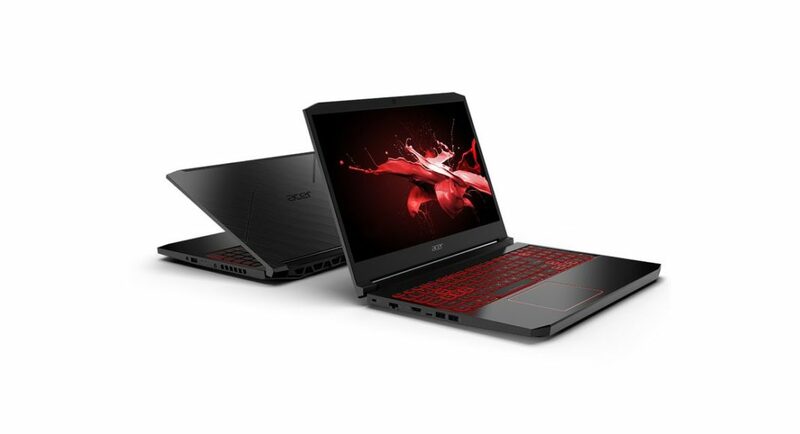 Acer Nitro 7 gaming notebook is aimed at casual gamers who want both design and performance in their machines. It comes with a metal chassis which measures at 19.9mm and has a 15.6-inch high-resolution display with a refresh rate of 44Hz with a 3 ms3 response time. The Nitro 7 is powered by a 9th Gen Intel Core Processor paired with the latest NVIDIA GPU to deliver a lag-free gaming experience. The Nitro 7 gaming notebook also comes with two slots for the M.2 Gen 3×4 PCIe SSDs which uses NVMe technology in RAID 0 making it fast in its operations. The RAM of the Nitro 7 can be expanded up to 32GB and for storage it comes with up to 2TB of HDD storage. The Nitro 5 gaming notebook comes with either a 17.3-inch Full-HD IPS narrow bezel display, or a 15.6-inch Full-HD IPS display. Both of them have a screen-to-body ratio of 80 percent. Acer Nitro 5 is also powered by a 9th Gen Intel Core processor paired with the latest NVIDIA GPU to offer a seamless gaming experience. Similar to the Nitro 7, the Nitro 5 too comes with two M.2 Gen 3 x4 PCIe SSDs using NVMe technology in RAID 01 and it also packs RAM up to 32GB of DDR4. The gamers can also stream their games as the Nitro 5 comes with Gigabit Wi-Fi 5 with 2×2 MU-MIMO technology. And lastly, the ports of Nitro 5 include HDMI 2.0, USB Type-C 3.2 Gen 1 etc. Both the Nitro 5 and the Nitro 7 comes with dual fans along with the Acer CoolBoost technology and a dual exhaust port which keeps the gaming notebooks cool even in extensive gaming sessions. The CoolBoost technology increases the fan speed by of the laptops by 10 percent, it cools the CPU and GPU by 9 percent compared to auto mode. Along with that, both the Nitro 7 and Nitro 5 laptops comes with NitroSense which is an app accessible through a one touch NitroSense hot key. Once the app is enabled, the users can instantly visualize the component temperature, loading performance, power usage, and more. It also allows the fan speed monitoring and adjusting in real time, so that gamers can customize the speed of the fans according to their needs. They can also max out the fans when an intensive gaming session is on. The newly launched laptops come with Killer Ethernet E2500 or Acer’s Network Optimizer to prioritize gameplay and gives a freeze-less and lag-free gaming experience. Additionally, Acer Nitro 7 and the Nitro 5 comes with Waves MaxxAudio advanced sound optimization technology that boosts the tones to deliver even the smallest sound detail in speaker or headphone. While the MaxxDialog feature allows the laptop by separating the game dialog from music and sound effects. And the MaxxVolume technology delivers maximum volume and clarity without distortion.